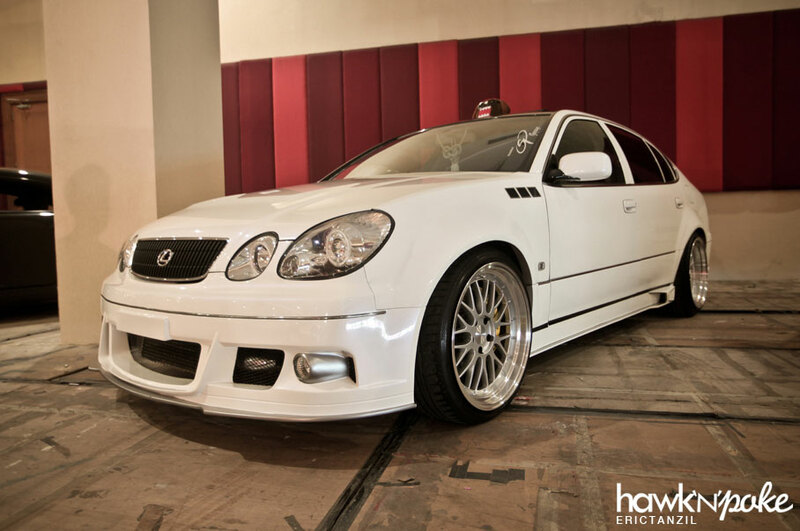 Finally it’s here, our coverage on the Hot Import Nights Surabaya 2012 auto contest! The event was held on 16-17 June 2012 at the Gramedia Expo and was attended by around 180 contestants. We are aware that hawk’n’poke might not be the first to publish the coverage; but rest assured, our pictures are always one of the best 😉 Let’s head straight on to the pictures by Eric Tanzil. 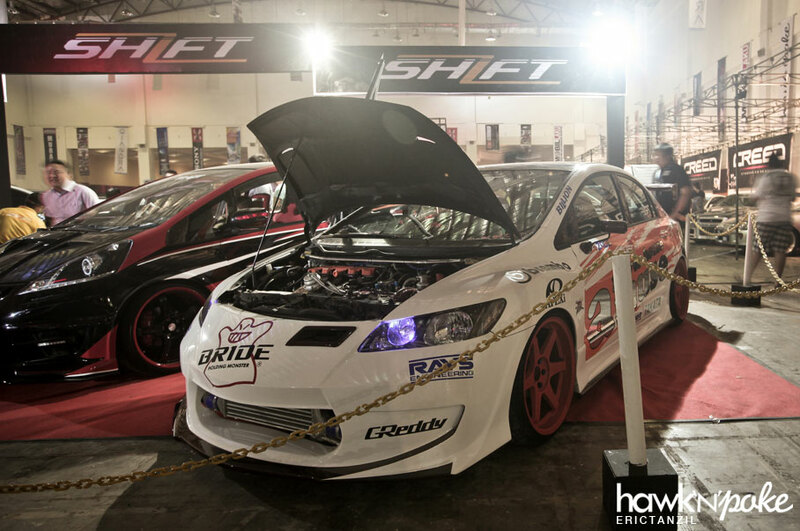 A Honda Civic receiving the tire-poke treatment. 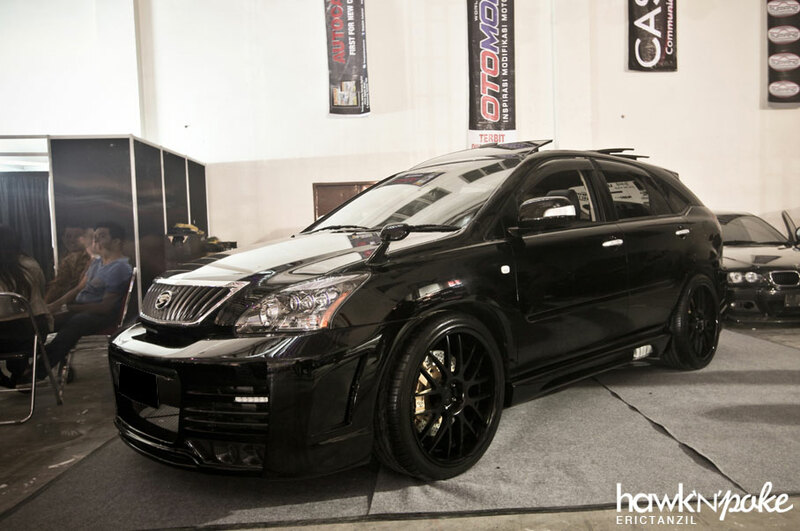 Toyota Harrier on a set of BC Forged wheels and Brembo big brake kit. Coloured carbon fibre seems to have become a current trend among racing look enthusiasts. 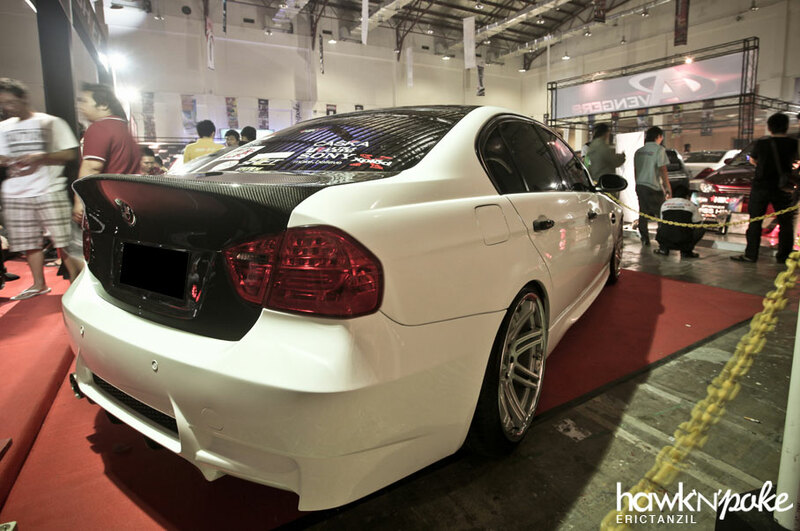 Spot our hawk’n’poke sticker on that rear window. Matte wraps are still popular, as depicted by this MKV. 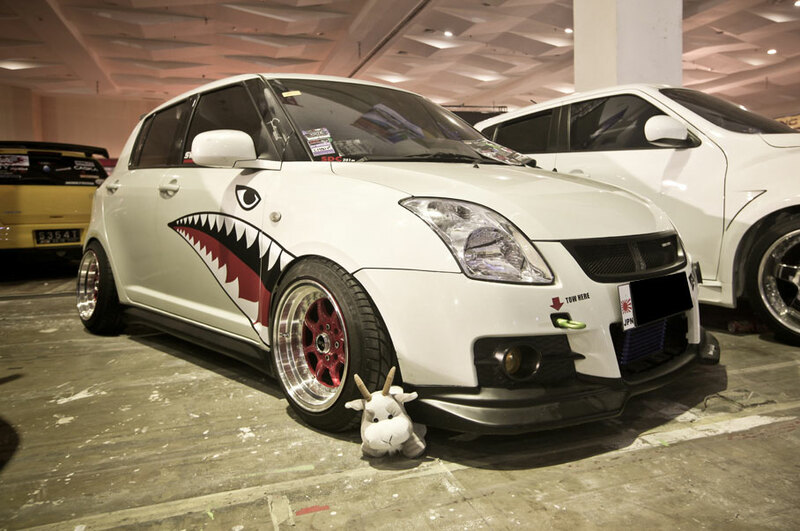 I bet the owner has a thing for the Nürburgring. 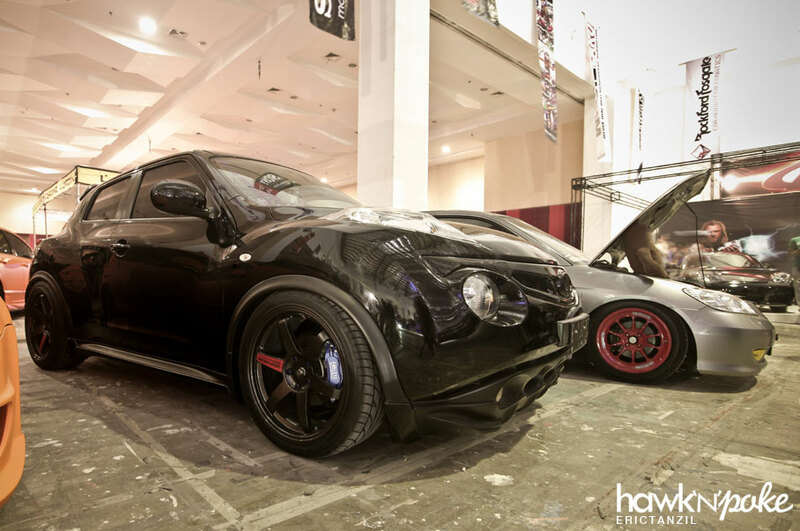 Black on black Juke on TE37 and Endless brake kit. 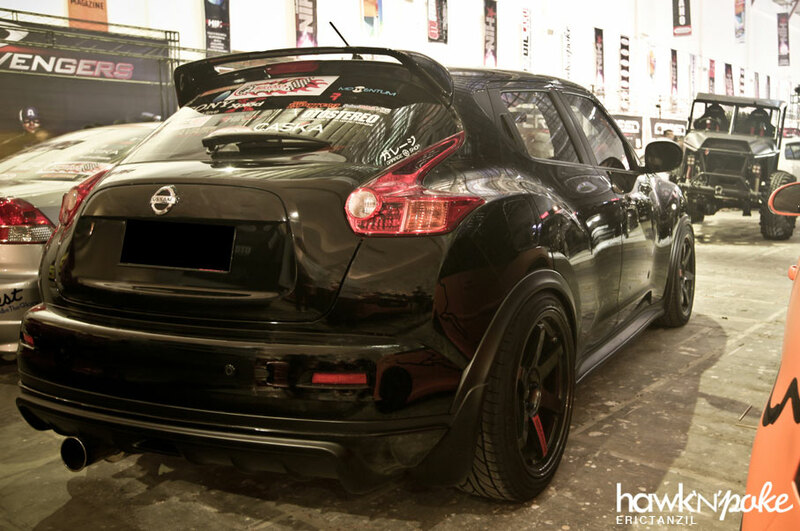 We are seeing more and more modified Juke these days. Soon they’ll surely catch up with the popularity of Jazz and Yaris in auto contests. A bunch of other contestant pictures are still in process of editing. We’ll upload them soon!